THE INCREDIBLE HULKS ANNUAL 1 (2011) SPIDER-MAN, DEADPOOL. IDENTITY WARS PT 3. Incredible Hulks #635 - CGC SS 9.8 NM/MT - 2011 - Signed Pelletier Variant! 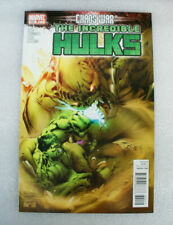 INCREDIBLE HULKS #620 1ST APP OF THE GREEN DOOR!! This page was last updated: 25-Apr 17:18. Number of bids and bid amounts may be slightly out of date. See each listing for international shipping options and costs.